Amateur boxing's world governing body the AIBA have hit back at criticism of their seeding system for the World Championships in Azerbaijan, describing "insinuations" contained in media reports as a "cheap shot". All nine Azeri boxers have been given a top-eight seeding for the competition, in which fighters at all weights bar heavyweight and super-heavyweight are guaranteed Olympic places if they reach the quarter-finals. The host seeding rules were only introduced at an AIBA congress last month, raising allegations of favouritism in the light of BBC Newsnight claims - strenuously denied by AIBA - that Azeri boxers were guaranteed Olympic gold medals in return for a financial investment into AIBA's World Series of Boxing. In a statement AIBA said: "AIBA objects to the insinuations contained in recent media reports that changes to the AIBA Technical and Competition Rules in relation to the seeding of boxers at the World Championships were introduced for any improper purpose. "The insinuations are nothing more than a cheap shot and demonstrate unfamiliarity with the rules, structure and ethos of AIBA and AIBA competitions. AIBA advocates fair play and transparency in all of its competitions." Addressing the rule change, the statement continued: "(It) was introduced as an incentive to encourage countries, which might not otherwise consider hosting the AIBA World Championships, to host this prestigious event." The statement goes on to list a number of other sports in which host nations receive preferential seedings, and appears to suggest, for the first time, that all British boxers who qualify for London 2012 will benefit from being seeded. However the statement does not address the concerns over the timing of the rule change, which clearly is to the benefit of the Azeris, nor the fact that the World Championships were switched from Busan in South Korea to Baku in July last year. The AIBA claimed British boxers could look forward to being seeded if they qualified for London 2012, with the statement adding: "The host country of the Olympic Games is automatically entitled to have six of its boxers seeded at the Olympic Games boxing tournament. "At the London 2012 Olympic Games boxing tournament, for example, six English (sic) boxers will be automatically seeded, while six Chinese boxers were seeded in Beijing." The AIBA then highlighted examples of how host nations are treated in other sports. "The practice of automatic seeding and qualification for host countries is widespread across international sport," the statement continued. "Taekwondo operates a similar system to AIBA's whereby eight of the host country's athletes are automatically seeded at the WTF World Taekwondo Championships. "Automatic qualification is guaranteed to the host countries of the FIFA World Cup and the IRB Rugby World Cup, while Wimbledon operates the 'wild card' system in order to enable British tennis players who have not qualified on merit to play there. "At the recent IAAF World Championships held in Daegu, (South) Korea, as host nation, was entitled to enter one athlete in each competition regardless of the entry standard. "At UEFA Euro 2012, host nations Poland and Ukraine not only qualified automatically but have been seeded one and two despite their respective European rankings of 34 and 32." The statement also specifically defended the decision to make super-heavyweight fighter Magomedrasul Medzhidov, who is not ranked in AIBA's own world top 50, the second seed in that category. "Mr Medzhidov was the runner-up in the super-heavy weight individual final of the 2010/2011 WSB (World Series of Boxing) competition and is thereby ranked number two in his WSB weight division," it read. "The winner of Mr Medzhidov's weight division in the 2010/2011 WSB competition, Clemente Russo, having already achieved Olympic qualification, is not participating at the AIBA World Championships. "Mr Medzhidov, as runner-up to Mr Russo, is therefore entitled to the automatic seeding slot that would otherwise have gone to Mr Russo. Mr Medzhidov's number two WSB ranking translates to a number two seeding at the AIBA World Championships." The statement concluded: "AIBA takes a zero tolerance attitude to corruption and is absolutely committed to ensuring transparency in the sport of boxing." Baku, Azerbaijan, 28 September 2011 - AIBA objects to the insinuations contained in recent media reports that changes to the AIBA Technical and Competition Rules in relation to the seeding of boxers at the World Championships were introduced for any improper purpose. The insinuations are nothing more than a cheap shot and demonstrate unfamiliarity with the rules, structure and ethos of AIBA and AIBA competitions. AIBA advocates fair play and transparency in all of its competitions and would like to take this opportunity to explain the background and rationale for the current seeding system. The rule change extends the seeding practice which already exists at the Olympic Games boxing tournament and in several other Olympic sports. The host country of the Olympic Games is automatically entitled to have six of its boxers seeded at the Olympic Games boxing tournament. At the London 2012 Olympic Games boxing tournament, for example, six English boxers will be automatically seeded, while six Chinese boxers were seeded in Beijing. 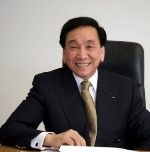 Upon the recommendation of the AIBA Technical and Rules Committee, at the Executive Committee meeting held in Astana on 1 August 2011, the AIBA Executive Committee approved a change to the seeding system. Rule 1.1.3 was inserted into Appendix E of the AIBA Technical and Competition Rules and states: "The Host Country will receive the 8th ranking seed in each Weight Category if a Boxer from the Host Country is not qualified for any position among 8 allocated seeds by both AIBA and/or WSB World Rankings." The rule change was introduced as an incentive to encourage countries, which might not otherwise consider hosting the AIBA World Championships, to host this prestigious event. The updated rules have been published on the AIBA website for several weeks. National Federations were informed of the rule change in an official communication from AIBA Headquarters on 19 August 2011. The rule change was explained again in detail at the AIBA World Congress for Coaches held prior to the AIBA World Championships on 24 September 2011 and at the Official Draw. The practice of automatic seeding and qualification for host countries is widespread across international sport. Taekwondo operates a similar system to AIBA's whereby eight of the host countries athletes are automatically seeded at the WTF World Taekwondo Championships. Automatic qualification is guaranteed to the host countries of the FIFA World Cup and the IRB Rugby World Cup, while Wimbledon operates the "wild card" system in order to enable British tennis players who have not qualified on merit to play there. At the recent IAAF World Championships held in Daegu, Korea, as host nation, was entitled to enter one athlete in each competition regardless of the entry standard. At UEFA Euro 2012, host nations Poland and Ukraine not only qualified automatically but have been seeded 1 and 2 despite their respective European rankings of 34 and 32. In terms of the seeding at the current and future World Championships, additional seeding slots are also awarded to top ranked boxers in the World Series of Boxing (WSB) competition. WSB boxers are only obliged to participate in one AIBA event a year and therefore often forego the opportunity to gain AIBA World Ranking points. These top boxers would be seriously disadvantaged at the World Championships and the Olympic Games if their success in WSB was not reflected in the seeding system for those competitions. Regarding the specific case of Mr. Medzhidov which has been cited in various media reports, the explanation is simple. Mr. Medzhidov was the runner-up in the super-heavy weight Individual Final of the 2010/2011 WSB competition and is thereby ranked number 2 in his WSB weight division. The winner of Mr. Medzhidov's weight division in the 2010/2011 WSB competition, Clemente Russo, having already achieved Olympic qualification is not participating at the AIBA World Championships. Mr. Medzhidov, as runner-up to Mr. Russo, is therefore entitled to the automatic seeding slot that would otherwise have gone to Mr. Russo. Mr. Medzhidov's number 2 WSB ranking translates to a number two seeding at the AIBA World Championships. AIBA takes a zero tolerance attitude to corruption and is absolutely committed to ensuring transparency in the sport of boxing.